Anicetti helped create the Moxie Festival, which draws 50,000 people to Lisbon Falls each year. Like the unusually flavored soda he made synonymous with his hometown of Lisbon Falls, Frank Anicetti could be considered an acquired taste. 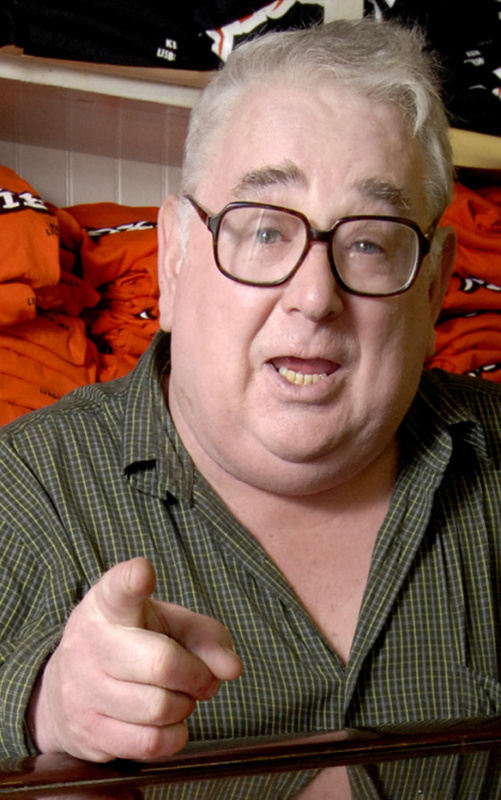 Anicetti, the man who launched Lisbon Falls’ famous Moxie Festival, died Monday at the age of 77. Anicetti had been in hospice care at the Marshwood Center in Lewiston, said his sister, Cathey Bienkowski of Lisbon Falls. He had long suffered with chronic obstructive pulmonary disease and his “heart just gave out,” Bienkowski said. The Moxie Festival, now in its 35th year, draws some 50,000 visitors each July to a former textile mill town with little else in the way of tourist attractions. It’s such an important event for the town that the festival’s coordinator is also the town’s economic development director. 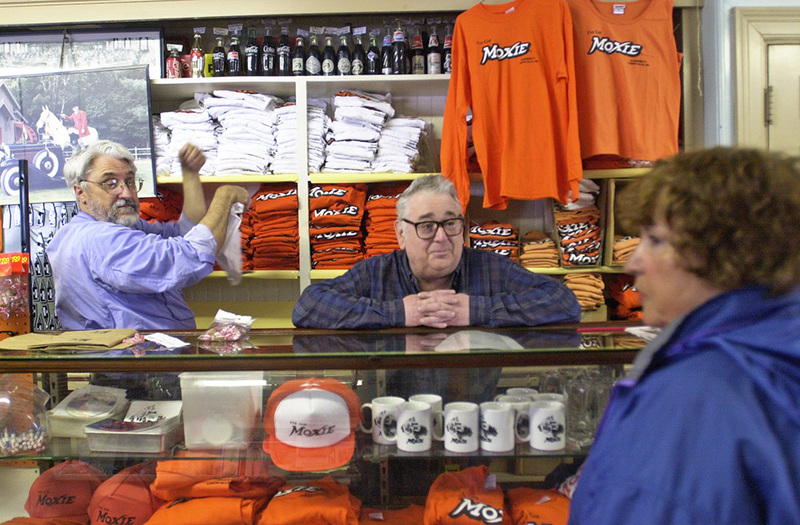 Known as Mr. Moxie, Anicetti transformed his Main Street store, Kennebec Fruit Co., into a must-see destination for Moxie fans, filling it with Moxie memorabilia and collectibles. During festival weekends, people from all over the country wandered in to talk Moxie with him. Anicetti was a favorite customer at the Hairs Too You salon in Lisbon Falls, just a few doors down from his store. Shortly before his death he got a pedicure there, something that made him happy, friends said. Anicetti first became fascinated with Moxie while running the store, which had been in his family for more than 100 years. It was opened in 1913 by his grandfather, Lamberto Anicetti, who had immigrated from Italy four years earlier. At the time, the giant Worumbo textile mill across the street was humming day and night, providing good jobs to townspeople. Anicetti’s father, also Frank, ran the store before passing it down to him. He began collecting and researching Moxie – invented in 1876 by Dr. Augustin Thompson of Union, Maine – after being given a 1923 Moxie-mobile by a local soda distributor. It was the figure of a horse on a car chassis with Moxie logos that is used to promote the brand. When Frank Potter wrote the definitive Moxie history book in 1981, “The Moxie Mystique,” Anicetti had a book-signing at his store that attracted 500 people. That event morphed into the town’s Moxie Festival. The 35th Annual Moxie Festival is slated for July 7-9. Managed by an army of volunteers, the festival includes a parade, fireworks, bands, dancers and a gathering of Moxie buffs known as the New England Moxie Congress. There are also Moxie chugging contests and a Moxie whoopie pie eating contest. It’s run by a 12-person planning committee and members of the town staff. Though Moxie’s inventor was from Maine originally, the soft drink was never made here. It was made for years in Massachusetts, and today the company is based in Bedford, New Hampshire. But because of the seeds Anicetti planted and the growth of the Moxie Festival, Lisbon Falls and Moxie are forever connected. “He had such a huge impact on this area because of the festival. He’s an icon, and because the festival will continue every year people won’t forget him,” said Diane Barnes, town manager of Lisbon, which includes Lisbon Falls. Barnes said Tuesday it was too soon to know what might be done to recognize Anicetti at the upcoming Moxie festival. Anicetti announced last year that he was retiring and closing his family’s 103-year-old store, which had come to be known to most people as the Moxie Store for it’s collection of all things Moxie. Most of his collection, including 100-year-old bottles, posters, buttons and even sheet music for songs about Moxie, was auctioned off in July. The auction was held during Moxie Festival weekend and drew at least 200 people, said Daniel Soules, of Daniel Buck Auctions in Lisbon Falls. Anicetti was a fixture at Moxie Festivals, manning his store and sharing stories. The store was filled with merchandise displaying orange Moxie logos, as well as collectibles dating to the 1890s, when the drink was known as Moxie Nerve Food. Traci Austin said Tuesday that she and her husband felt it was only right to name the place in Anicetti’s honor, because of what he’s meant to people in town. She said they plan to open in July, hopefully in time for the Moxie Festival. Anicetti kept a visitor’s book in his store during festival weekends and was proud when it was filled with people from all over the country and from other countries as well. It made him feel he had helped put Lisbon Falls “on the map,” Toby Conroy said. King was in Boston on Tuesday and couldn’t be reached for comment, according to his Bangor office. Besides growing up in the same area, Anicetti and King share a fascination with things other-worldly. Anicetti was an avid reader, and he especially devoured fiction about space aliens. He was fascinated by the work of scientists like Carl Sagan and felt that surely, with space being so infinitely huge, there must be life out there somewhere, his sister said. A few years ago, he started telling customers and friends that the closed Worumbo mill building was being used as an alien detention facility by the government. Conjuring up scenes from the “Men in Black” movies, Anicetti told of government agents, dressed in black and wearing sunglasses, ushering aliens into the mill under the cover of darkness. “Someone put (his story) on the internet and he got a real kick out of that,” Bienkowski said. Before the auction of his Moxie collection last July, Anicetti said he hoped to travel and maybe sit in on some classes at Bates College in nearby Lewiston. But because of his health and a variety of reasons he wasn’t able to do those things, his sister said. Last December, when it was clear Anicetti wasn’t feeling well, friend Kerry Conroy organized a Moxie-themed event during the town’s annual Very Merry Main Street event. Conroy, owner of Hairs Too You salon and Toby Conroy’s sister, bought a bunch of Anicetti’s Moxie-themed Christmas ornaments and gave them out to people during the event. Anicetti was on hand to tell stories and sign autographs.